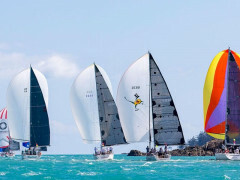 Why Hamilton Island Race Week? The world’s oceans are full of mysteries, like where do humpback whales disappear to breed and why do Australia’s social elite migrate to Hamilton Island each August? While Sir David Attenborough scratches his head over the whales, we can tell you that August marks Hamilton Island Race Week, the most idyllic see-and-be-seen party in the southern hemisphere. And what does a party of that ilk involve you ask? Beyond feats of professional competitive sailing aboard multi-million dollar yachts, the regatta draws high rollers from the world of fine dining, new world winemaking and high fashion. It's a decadent affair played out on some of the planet’s most paradisiacal real estate. Google it if you don’t believe me! 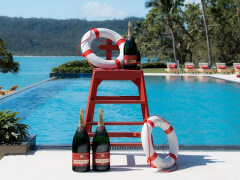 Now, I’m not trying to undermine your summer pool party as you no doubt put a lot of effort into the Facebook group but look, Race Week offers Stella McCartney and Chloe exclusives, a never-ending supply of fine wine produced by the owner of Hamilton Island, tropical boutique beachfront resorts and impossibly fresh reef fish prepared by Australia’s most revered celebrity chefs. You dig? The Epitome of Island Luxe. Nestled amongst Queensland’s Whitsunday Islands on the edge of the Great Barrier Reef (an understatement if ever there was one), Hamilton Island is as idyllic as Australia gets, which if you've ever been Down Under you will know is a statement not to be taken lightly. Given how much I've bigged it up, you’d be forgiven for filing Race Week somewhere between “Dream On” and “When I Win The Lottery” but for all their unnaturally good looks and unabashed Aussie pride, the Hamilton Island Race Week set welcome everyone who wants to get loose with style. As in, you’re invited! For experiences that are easier on the liver there are helicopter tours, hikes through spectacular native flora and art exhibits to muse over in between races. The largest offshore yacht regatta in the southern hemisphere. A week of diverse off and onshore events, from the luxurious to the adventurous. Hamilton Island just a 2-hour flight from Sydney. Don’t miss panoramic views from One Tree Hill.